Both Ensembl release 92 and Ensembl Genomes release 39 are scheduled for April 2018. Included are new genomes and genebuilds (Goat, Zebrafish, Marmoset, Stalk-eyed fly and Waterflea) and a command line version of our new Linkage Disequilibrium tool. 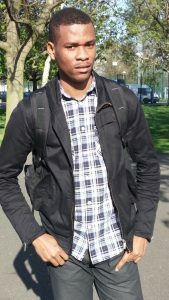 This month we are meeting Denye Ogeh who works in the Ensembl Genebuild team.